Today (Aug 23rd), There are few rumors in internet saying Nokia India team is working on Windows Phone 8.0 GDR3. Recently we got GDR2 and Nokia own update and I posted here (Nokia Lumia 920 got new Windows Phone 8 Update Today). In this GDR3 updated we can expect Notification center. Currently there is no Notification center, so we are missing few notifications for the apps. Even few apps as live tiles with notifications count it is better to have one area where we can see all notifications (from facebook, twitter, skype… etc). So, even if we did not pin the app to start screen also we will know that we have something inside. 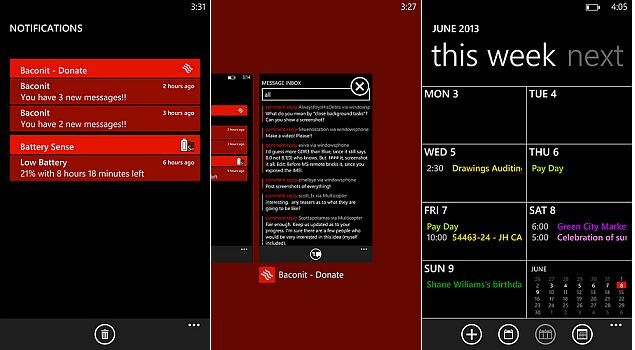 Another news about Windows Phone, About 8.1 version (may be Code name “Blue“) is getting ready for our phones. We can expect more features this time also same like last time we got 200+ features in Windows phone 8.0 (according to Steve Ballmer). And this 8.1 may release on 2014 Q1 and First look at MWC (may be). According to WPDang.com – Chinese site. In this 8.1 I wish to see Quick settings to adjust screen brightness, WiFi, Bluetooth, Flight mode on/off, App close button and etc..